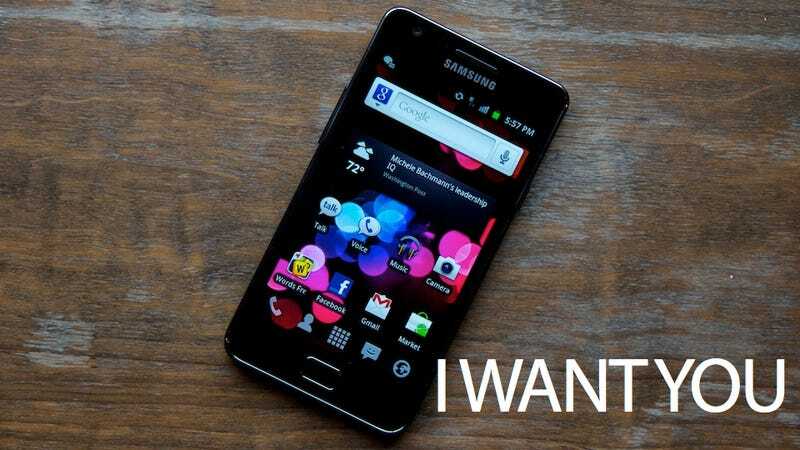 The WSJ has reported that Verizon will be passing on the Galaxy S II. Now BGR claims to have confirmed with several trusted sources that this is correct. Damn it, Verizon, what the hell is wrong with you? If the report bears out, it means that next week Samsung will unveil the Galaxy S II for AT&T, T-Mobile, and Sprint, but Verizon customers will be left out in the cold. Well, I'm tired of being treated like a smelly dog by Verizon. Why do the other carriers almost always get the best phones before we do? As an early Droid 1 adopter, whose phone is now schizophrenic and on life-support, I have been waiting for this little box of awesome for months. Meanwhile, some sick phones have been coming out on other carriers. Phones that I would absolutely jump on if they came to Verizon. BGR has also confirmed, however, that Verizon Wireless will soon launch a Samsung device with very similar specifications - as in, nearly identical specifications - but it just won't be a "GALAXY S II" phone. Perhaps it will be a new DROID device, a possible successor to the Samsung DROID Charge, or perhaps it will be something else entirely. Well, that makes it a little better, but "soon" in Verizonese can mean anywhere between a few weeks and the year 3030, and Deltron wants his new Droid. Yes, we've finally got the Droid Bionic coming "soon," but that phone was first announced in January for feck's sake! In the meantime, the other carriers have launched similarly spec'd phones. I could swallow my own tongue I'm so angry and jealous. Also, let's not forget what happened when Verizon got ahold of the last Galaxy phone. They changed its name to the Fascinate, and then they bent it over a table and shoved Bing and a bunch of crap software all up inside it. The result was extremely unpleasant for users, and it couldn't have been any fun for the poor Galaxy S, either. Do we need Verizon taking arguably the best Android phone out there and doing unspeakable acts to it? We do not. Look, Verizon, you are the largest carrier in the nation. Your service is super reliable and your 4G speeds are faster than anyone else's. Those are significant accolades, but stop resting on that just because you can. Your customers are paying a lot for your service (certainly more than we would on Sprint, T-Mo, or other smaller carriers) and we want the best devices. Don't give me a great phone without 4G. Don't give me a 4G phone that runs like an asthmatic stoke-victim. Give me a cutting-edge phone that is the best of everything. That's what other carriers strive to do. You are way behind the curve. Nationwide 4G Showdown: Who&apos;s Fastest?